This Spring Break we stayed close to home. And it was awesome. It started with a visit from the Austins on their way to Tennessee. We took them downtown to hang at Smale Park--where pigs fly! Then it was Easter egg time--which is very serious business to the Schneider girls. 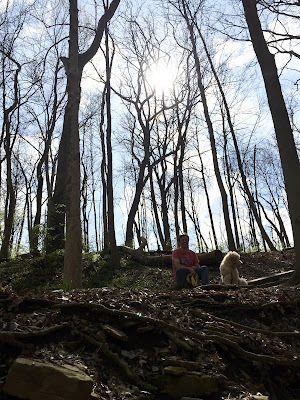 We spent some time the ravine behind our house--a spot that is magical for a couple weeks every spring before it gets so overgrown that you can’t make it down there or back out. (We also had a very scary experience down there with Tiki accidentally wrapped her chain around Bea’s neck that was a terrifying but important lesson.) We spent lots of time in the background doing our usual spring tasks. Our Easter egg hunt at home was fun - especially Tiki’s funny bunny ears. 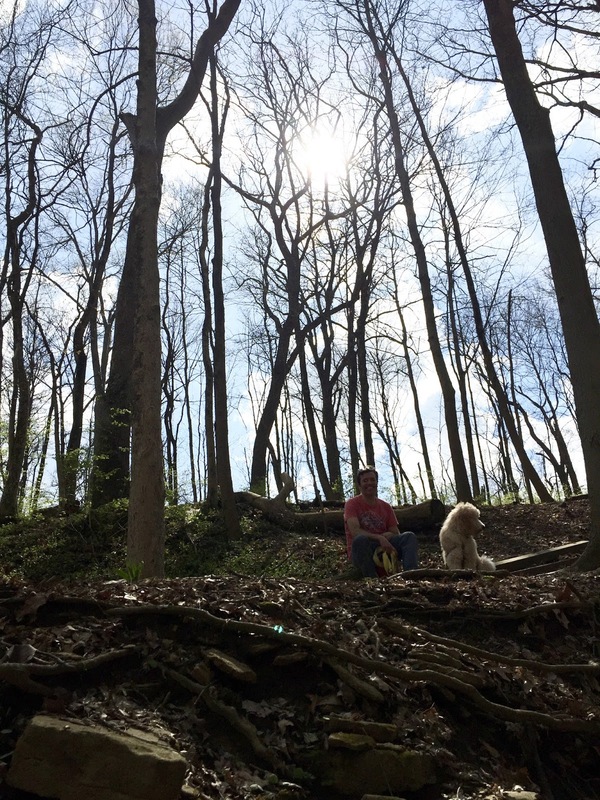 But the real fun of Easter was our picnic and hike. (We may’ve forgotten Tiki’s leash but the tow rope worked ha.) We found some great fossils and had so much fun geocaching. Other highlights of the week--Lou took the girls to a Contemporary Art Center. We had our neighbors over for a campfire and sleepover. We took a trip to the toy store for Bea to spend her birthday money. We had some slow family time together--crafting and playing around the house. 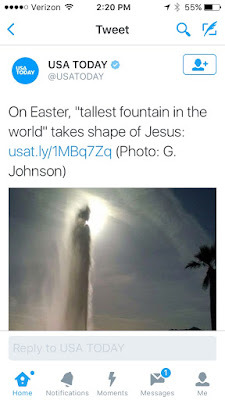 DD took a photo in Arizona on Easter that went viral and we all had fun with that. We hung out around the neighborhood and the city. We flew kites. We made new recipes. We found magical trees to climb. We played dress up. And we spent time together. YAY - time together!